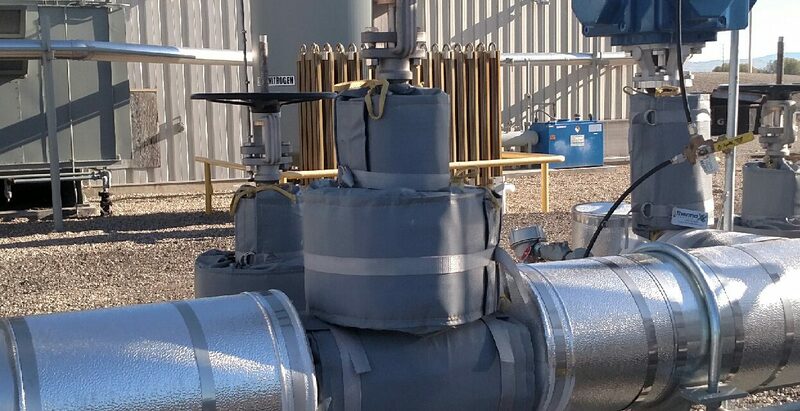 Removable aerogel LNG insulation covers for temps as low as -450°F by the leading experts in valve insulation. Already used in over half of the homes in the United States, natural gas has also been seeing a rapid increase in global demand. To be suitable for long-distance transportation, particularly overseas, natural gas must be condensed into liquefied natural gas (or LNG). The growth of LNG production in recent years has been dramatic. The complex LNG production and transportation chain requires cryogenic insulation of LNG storage tanks, piping, and various components and valves to keep the LNG at a temperature of −260 °F. Properly insulating the cryogenic valves increases their lifespan and productivity, helps maintain required temperature, and decreases work-place noise and hazards. 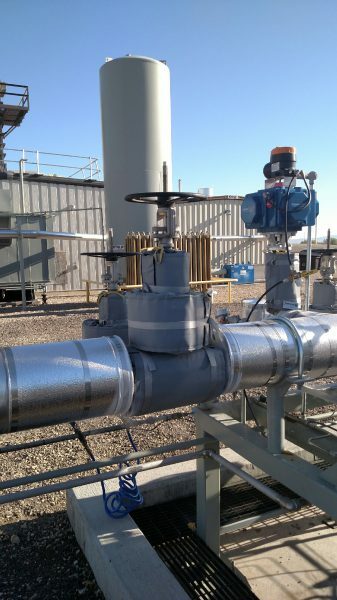 Utilizing cryogenic removable insulating jackets will also reduce condensation or icing and allow for component inspections without the expensive removal and replacement of hard insulation. Thermaxx uses a combination of cryogenic aerogel insulation, PTFE-coated fiberglass cover material, and Kevlar thread to manufacture our removable LNG insulation jackets. Our LNG jackets utilize Cryogel® Z by Aspen Areogels – the ultimate in thermal protection for cryogenic applications. Cryogel® Z is a nanoporous cryogenic insulation is engineered to deliver maximum thermal protection with minimal weight and thickness and zero water vapor permeability. Using patented nanotechnology, Cryogel® Z insulation combines a silica aerogel with reinforcing fibers to deliver industry-leading thermal performance in an easy-to-handle and environmentally safe product. Cryogel® Z’s unique properties – extremely low thermal conductivity, superior flexibility, compression resistance, hydrophobicity, and ease of use – make it essential for those seeking the ultimate in thermal protection for cryogenic applications. Cryogel® Z’s extremely low thermal conductivity reduces heat gain and liquid boil-off, its blanket form minimizes installation labor, and its inherent flexibility makes the product durable and resistant to mechanical abuse. Thermaxx Jackets are designed to be easily dealt with, and are able to be on/offed in a matter of minutes. As with all Thermaxx Jackets, we stand by the quality of our LNG insulation jackets with a 5-year warranty. We’re happy to answer any questions you have about our LNG insulation jackets or any of our other insulation solutions. Contact us today!